All photos by Elle Harris of Ellenote Photography. Takafumi Tsuruta’s grandmother developed dementia 10 years ago. As her condition worsened, she gradually found herself bound to a wheelchair as a preventative measure—her worried family didn’t want her to wander off and get lost. Back then, Tsuruta was a budding fashion designer, honing his craft while working for the label Hiroko Koshino. One day, he decided to make his grandmother an outfit. Tsuruta wanted her to look good and feel good despite her condition. But when he visited his grandmother to present her with his creation, a jacket and a pair of pants, he found that dressing a person in a wheelchair was difficult, and that fitting a pair of pants on someone sitting down was no easy task. Fast forward a decade and Tsuruta is doing just that. Tsuruta established tenbo in January 2015, with the goal of creating a fashion brand that was inclusive of all people, disabled or not. 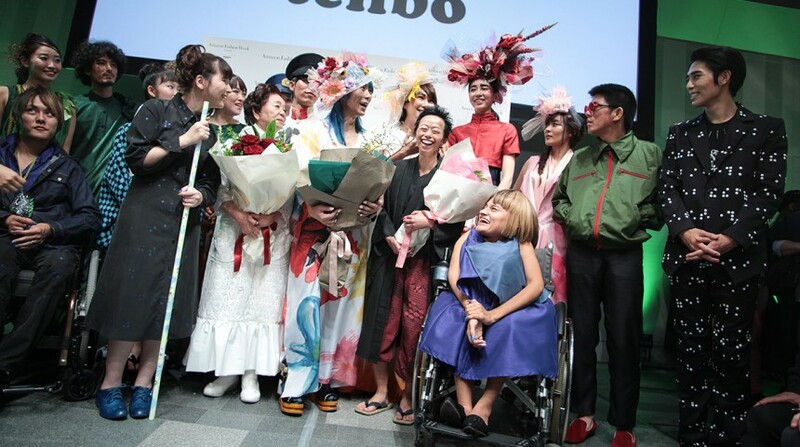 He debuted his collection at Fashion Week Tokyo—the most revered runway in Japan—and in doing so, tenbo became the first brand in Japan to feature both disabled and able-bodied models together in a single show. Accessibility is central to tenbo designs. tenbo clothing is made to be worn by both disabled and able-bodied people. tenbo designers make certain functional choices in their designs to accommodate the needs of people with disabilities. Tenbo clothing aims to make fashion accessible to people with disabilities. That is Tsuruta’s vision. And when examining tenbo clothing, this is clear in the little details of each design. 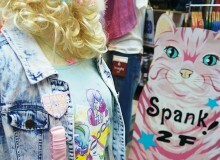 Buttons on shirts are magnetic, allowing people with disabilities like Parkinson’s disease to dress themselves freely. Pants have elastic waists, making it easier to wear for people in wheelchairs. 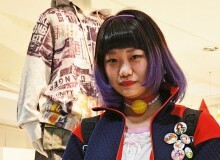 And Tsuruta’s willingness to listen is perhaps the reason why the brand has gained traction with the disabled community. To the frequent collaborators of tenbo, the brand is more than a maker of fashionably functional clothes—it is a community. Go to a tenbo show and you will see. tenbo hires disabled people to usher guests to their seats. 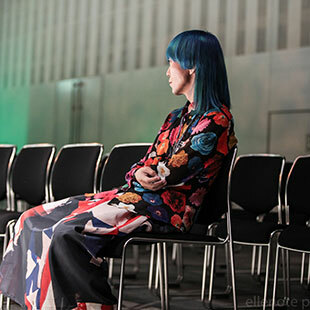 Disabled people who are fans of the brand attend the shows, and many of the models themselves are disabled. Tsuruta says he has received positive feedback from tenbo collaborators. They seek him out because they believe in the brand’s philosophy. And they come from the world over. A French woman visited Japan to partake in a recent tenbo show. tenbo has created a space for disabled people to express themselves through fashion, yet globally, disability fashion remains largely unexplored. Despite these successes, heading tenbo hasn’t always been easy for Tsuruta. Early on, he had to deal with the stigma of establishing a fashion brand for the disabled. Some called him out for being exploitative. Tsuruta would be the first to admit that his venture isn’t purely a moral pursuit. It is equally a business decision as well; when Tsuruta decided to strike out on his own as a designer, the fashion market was saturated with cheap mass-produced fashion chains like Zara and Forever 21, and he felt he needed an entirely different concept to succeed. In the end though, Tsuruta measures his success by how his designs are received by the people.